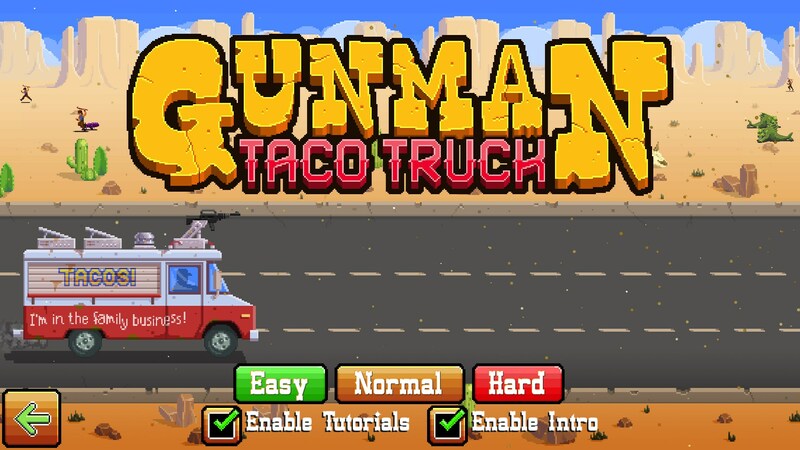 Gunman Taco Truck – Games for Android 2018 – Free download. 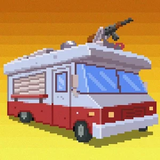 Gunman Taco Truck – Be the taco truck the post-apocalypse world needs. 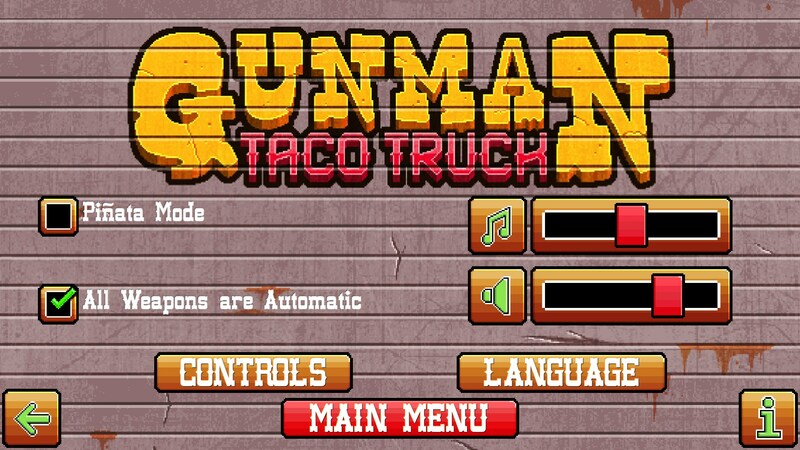 Gunman Taco Truck for Android’s development history is probably one of the most interesting you’ll ever hear about. Legendary Id developer, John Romero, took an idea from a nine-year-old child, turned it into a game and let the kid co-develop the game with him. 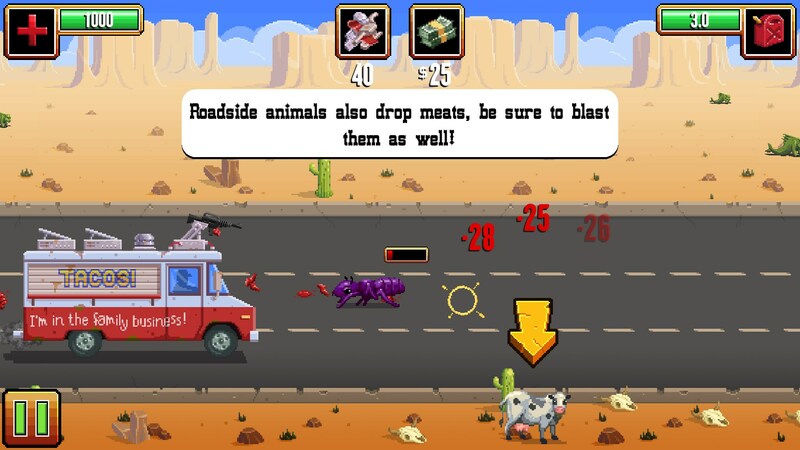 But the question begs to be asked: what the heck is this game? 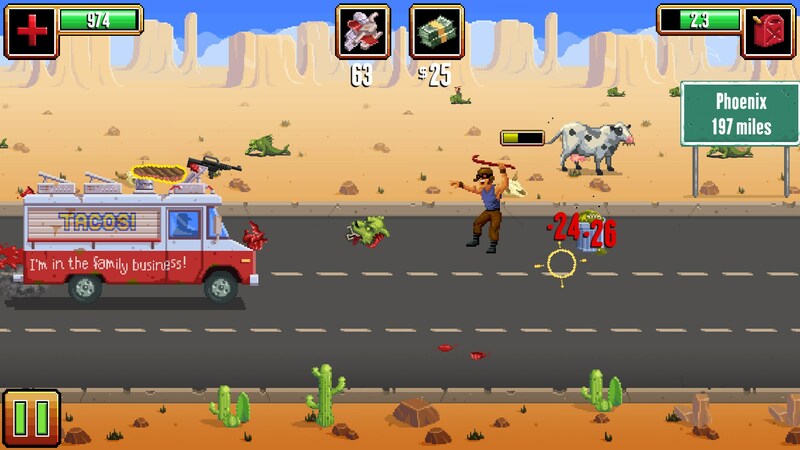 Well, it’s kind of the odd combination of multiple popular mobile game genres. 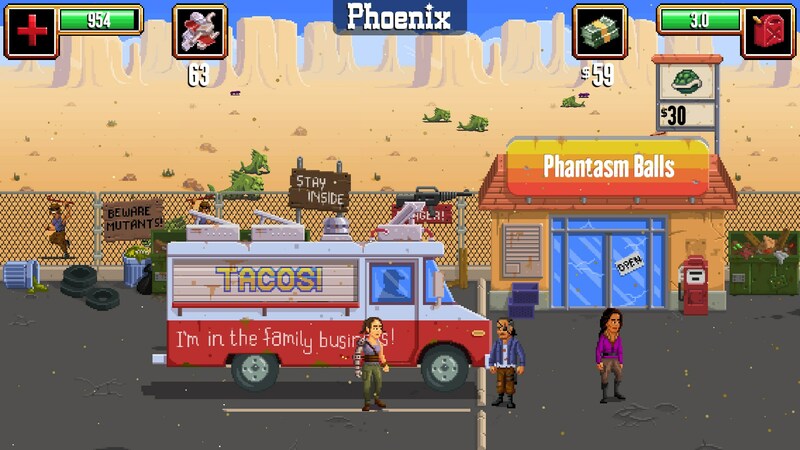 On one hand, you’re the owner of a taco truck that must make tacos for customers just like you would in a game like Cooking Mama. 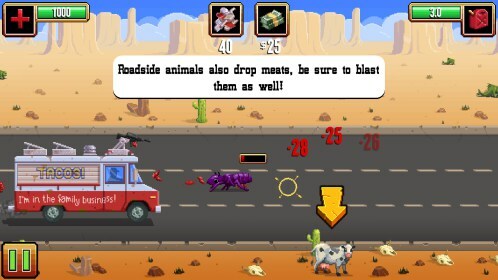 On the other hand, you’re swapping lanes and mowing down post-apocalyptic, mutated animals and humans to collect ingredients that you’ll then use to make said tacos with. Sure, it’s kind of disgusting in that regard, but it’s heck of a lot of fun. I wish I could say the game is the perfect amalgamation of all the pieces I just described, but it’s not. 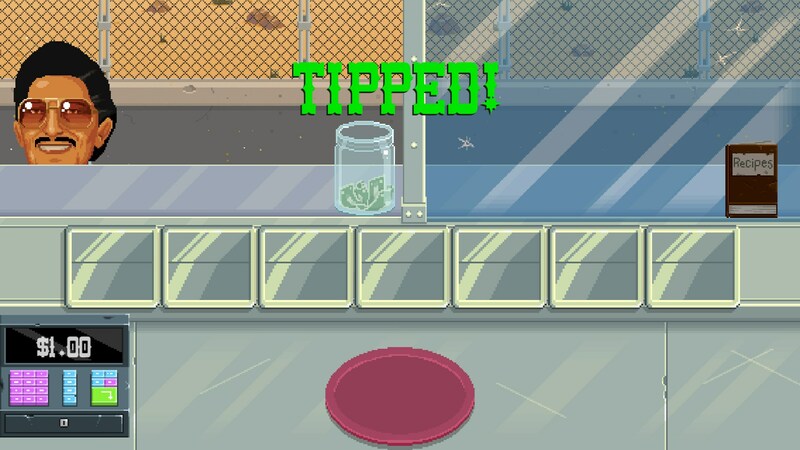 It’s simply an okay shooter and simply an okay cooking game. It’s the combination of everything that breathes life into the game. 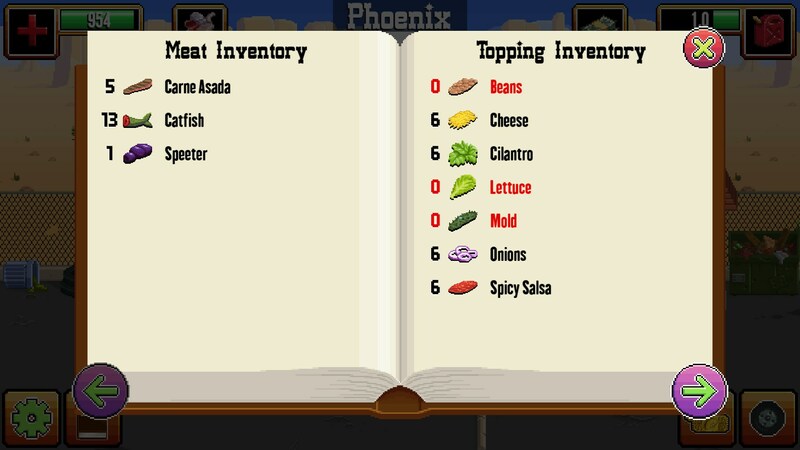 Having to constantly make money so you can then upgrade your truck, put fuel in it and buy more ingredients adds just another layer of depth to the game. 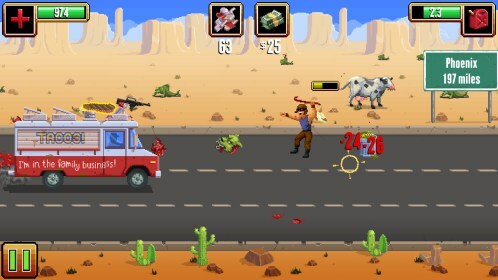 All in all, Gunman Taco Truck is one of the most refreshing mobile games I’ve played in a long while despite the fact that it borrows so heavily from mobile games that have come before it. Perhaps it’s the game’s aesthetic or personality, either way, this is one game you should be playing.